Please bring all offers, seller likes to negotiate! Huge back yard with screened in enclosure. 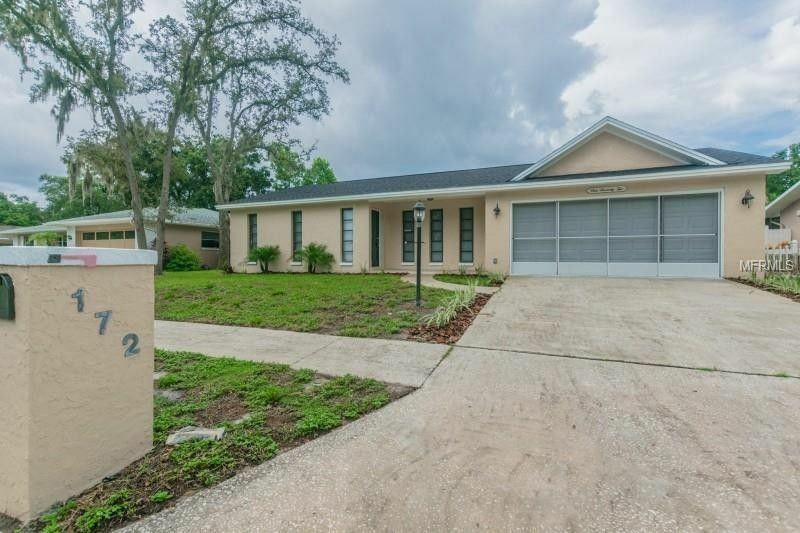 Some of the home renovations are new roof, Freshly painted interior and exterior, Newly updated tile floors and carpet throughout the home, New kitchen with upgraded cabinets and granite counter tops with tile back splash, New water heater and water softener. all appliances come with sale of home and much more(super turn key)! (No Hoa fee!). Home has interior laundry room, washer and dryer included. Front of garage door has custom screens(see photos). Located in the heart of Palm harbor near everything. Clearwater beach (top rated beach) is 18 miles away (41 min drive) , Super Walmart is 1.4 Miles away (5 min drive) and countryside mall is 7.2 miles away (19 min away driving). Ready to Close for a quick move in. Directions: US 19 N , east on Lake Tarpon Drive, right on gulfbreeze Terrace, Right on sunshine Drive, left on parkway place , left on sunward ave, home on right hand side.